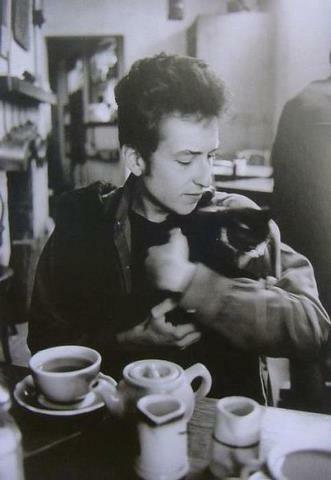 I am minding a Burmese family cat for a few weeks so my mind is on cats, hence the picture above of Bob and his cat. The cat that has come to stay is called Sparky and he is limping on his front right foot due to a torn tendon. The vet said to avoid an operation he has to stay indoors. Not a happy cat but adjusting to hs new life. I take him outside each day and let him look around his temporary garden. Next week I’ll post if going home is an option. At his own home there is a little scruffy dog that he plays rough and tumble with which is not condusive to healing a torn tendon!